They are completely harmless and caused by excessive prolonged sun exposure. 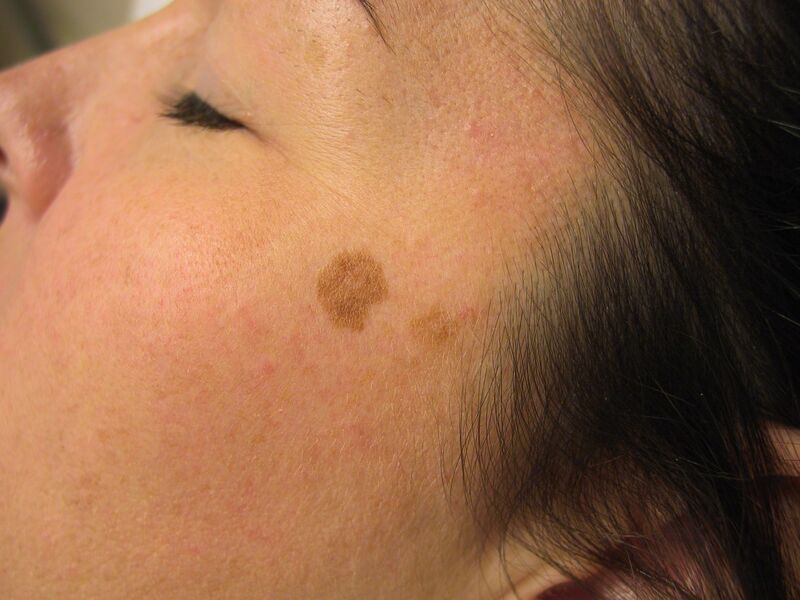 Brown or sun spots also referred to as liver spots. Sun spots are also referred to as liver spots because it was originally thought that they were caused by a liver dysfunction.Today it is very well established that they are not connected in any way to the liver. Brown or sun spots usually develop on those areas of the body which are exposed to the sun the longest. Also exposure to UV tanning lights contribute to the development of brown spots. Fortunately sun spots, when they first appear are very superficial. The hyperpigmetation usually resides on the upper part of the epidermis. Therefore brown spots are usually very easily removed with a light superficial skin peel (exfoliation) or skin resurfacing. The superficial skin resurfacing using the BeautyTeck removes the superficial area of the pigmented area very easily. One of the advantages of using this technique is that the brown spots are removed immediately (usually within seconds) and one session is usually sufficient for complete removal of this type of hyperpigmentation. If you are interested in have your brown spots removed within one treatment using the BeautyTeck, please do not hesitate to contact us.